Over the last 200 years, Ohio lost 99.996 percent of its original old-growth forest that once covered 95 percent of Ohio to logging, coal mining and development. Dysart Woods is among the remaining .004 percent of the original old-growth forest left in Ohio. But Ohio Valley Coal Company (OVCC) has a pending permit to mine directly underneath Dysart Woods. Meanwhile citizens have formed Dysart Defenders to mobilize a grassroots defense of Dysart Woods. Dysart Defenders is a statewide organization devoted to the preservation of the 4,170 acre watershed buffer zone from all types of mining. Dysart Defenders is working on many fronts to protect Dysart Woods. Dysart Defenders appealed the Lands Unsuitable Petition Decision that was filed to form a buffer zone protecting Dysart Woods from mining. The Lands Unsuitable Petition was filed by the Buckeye Forest Council and Ohio University. But the Ohio Division of Mines and Reclamations (ODMR), which regulates coal mining in Ohio, has said that it would not forbid mining even directly underneath Dysart Woods. Dysart Defenders' appeal requests that no mining be allowed within the full 4,170 acre watershed buffer zone of Dysart Woods. Dysart Defenders has filed about a dozen motions and attended two hearings and a full-day deposition to keep the appeal alive. After an intensive search, Dysart Defenders secured a probono lawyer, John Sproat of Columbus to represent the organization. Dysart Defenders has also filed to block the issuance of OVCC permit D 0360-9 to mine directly underneath Dysart Woods, asking that it should be delayed until the appeal of the Lands Unsuitable Petition is heard. And Dysart Defenders worked to investigate and publicize OVCC's violation of Ohio law when the coal company began destroying a valley before it received the permits it had filed for with the Environmental Protection Agency (EPA) and ODMR. OVCC was issued notices of violation by the EPA and the ODMR, but the agencies have yet to announce what the punishment for Ohio Valley Coal Company will be. The permits are for an extension onto a 500+ acre polluted nightmare to fill a formerly forested valley with about 300 feet of polluted waste coal that OVCC wants to dig from under Dysart Woods. The site is already contaminating Captina Creek, one of the few creeks left in Ohio that are designated exceptional warm water habitat by the EPA. Dysart Defenders intends to appeal the permits if they are past by the EPA and ODMR. Dysart Woods is a 455-acre nature preserve owned by Ohio University that has been designated a National Natural Landmark by the U.S. Department of Interior. But OVCC claims there is only 55 acres of old-growth forest. In fact, there are old-growth trees and forest throughout the 455 acre preserve, making the entire area important to save. But the ODMR will currently only consider saving those areas that have been officially designated. Dysart Defenders is lobbying OU and the ODMR to protect the full 455 acres that has all been designated a National Landmark. A relatively small group of people have done a tremendous amount in the effort to save Dysart Woods. We need more Dysart Defenders organizing, publicizing and donating if we are to save the last ancient forest of its type in Ohio. Dysart Woods is truly an amazing forest, representing the last benchmark to show what the entire southeastern third of Ohio once was like. 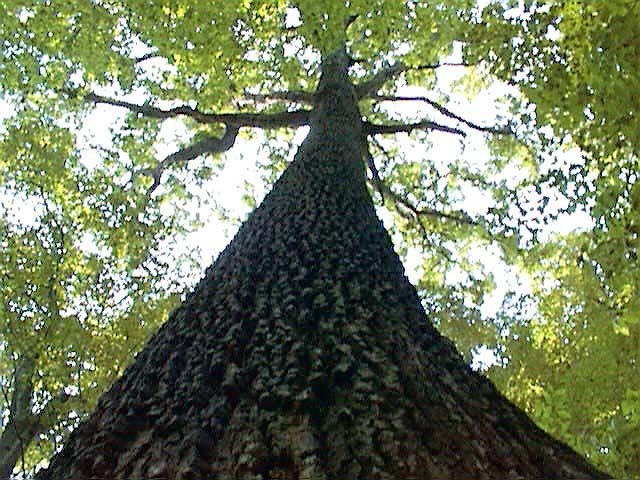 Ecologically, Dysart Woods is among the most endangered ecosystem in the world according to a 1995 report by Reed Noss of the U.S. Department of Interior. Funds are needed to get depositions and expert witnesses for the appeal before the Ohio Reclamation Commission. Thousands of dollars are needed to have an adequate hearing. Ohio Valley Coal Company is spending millions of dollars to get permission to mine under Dysart Woods.. Please donate to Dysart Defenders and help in this critical cause. We must save this ancient forest into the next millennium and beyond. It is among the only places in Ohio with 100 percent native species. Checks can be made to "Dysart Defenders" and mailed to P.O. Box 31, Athens Ohio 45701.